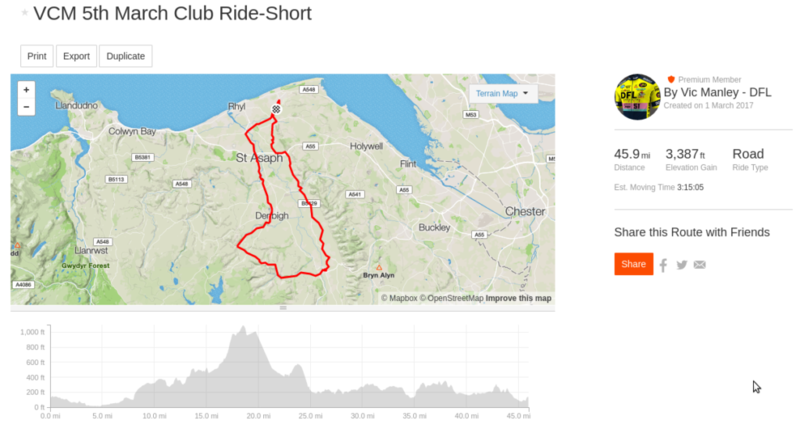 Thank you Vic for this 46 mile 3,387ft of climbing Strava route . This route breaches 1000ft once and heads out hilly and returns down the vale. Weather allowing this should be an accessible route for all.